Goodreads says, "What if you knew exactly when you would die? Thanks to modern science, every human being has become a ticking genetic time bomb—males only live to age twenty-five, and females only live to age twenty. In this bleak landscape, young girls are kidnapped and forced into polygamous marriages to keep the population from dying out. When sixteen-year-old Rhine Ellery is taken by the Gatherers to become a bride, she enters a world of wealth and privilege. Despite her husband Linden's genuine love for her, and a tenuous trust among her sister wives, Rhine has one purpose: to escape—to find her twin brother and go home. 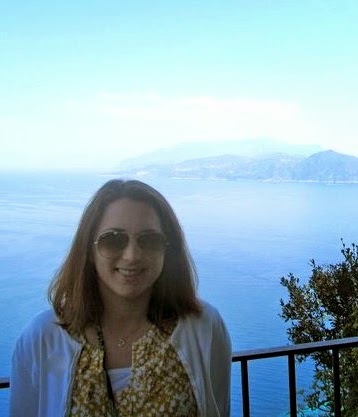 But Rhine has more to contend with than losing her freedom. Linden's eccentric father is bent on finding an antidote to the genetic virus that is getting closer to taking his son, even if it means collecting corpses in order to test his experiments. With the help of Gabriel, a servant Rhine is growing dangerously attracted to, Rhine attempts to break free, in the limted time she has left." Rhine and her twin brother live in a very scary world where males know that they will only live to the age of 25 and females to the age of 20 due to some genetic virus. The world has been torn apart by war and people have become violent in order to survive. Rhine and her brother must guard their house for intruders and Rhine must be aware of The Gatherers who could kidnap her at anytime. Rhine's worst nightmare becomes reality when she is kidnapped and enters into a polygamous marriage in order to keep the population going. Rhine is now immersed in a world of wealth where she has servants tending to her every need. Shockingly, her husband, Linden, is actually a nice guy and she becomes friends with her sister wives. Many feel she should be happy here, but the entire time Rhine is planning her escape so she can get back home to her brother. In fact, Rhine wants to take Gabriel, a servant, with her because they have a definite connection forming and she doesn't want to leave him behind. The only person standing in her way is Linden's creepy father, Housemaster Vaughn, who is a doctor trying to cure the genetic disease, but at what cost? 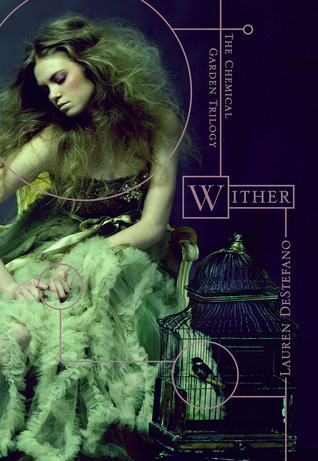 Wither, Lauren DeStefano's debut, is a captivating dystopia that hooked from the beginning. The character of Rhine is brilliant. I really liked her character and could empathize with her. There's no doubt that she is a strong heroine. 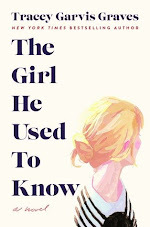 As readers learn more and more about her past, I think Rhine becomes that much more interesting. Also, DeStefano also does a great job creating the eerie character of Housemaster Vaughn. I was so disturbed by him; he made my skin crawl. On the other hand, the character of Linden was the complete opposite. He is ruled by his father and is pretty harmless. At times, I wanted to slap him and yell, "SNAP OUT OF IT" because he is so brainwashed, but I realized that he, too, is simply a pawn in Vaughn's game of chess. Her sister wives, Jenna and Cecily, were strong characters as well. I truly pitied them, especially thirteen year old Cecily. It was hard to read certain parts about her since she is so young and is, essentially, being treated as someone to simply pop out babies whereas Jenna's story was so tragically depressing. The whole polygamy aspect of this book kind of grossed me out, yet intrigued me at the same time; it was all very Big Love. This dystopia was memorable and had me thinking much more than some of the other dystopian novels out there and I like that about Wither. For example, I kept wondering if Rhine should stay in a world where she is safe and pampered, but captive or should she risk it all and go back out into a world that is dangerous and unpredictable? It definitely left you with a lot to think about. DeStefano's writing style hooked me in immediately. I was actually just checking out the book by looking through it and skimming the first few pages, but it was over from there. I couldn't put it down. I wish that I could share Wither with my students, as it would surely hook the most reluctant reader, but unfortunately, the context is a bit too mature. However, I can't deny that DeStefano is a writer to watch and I will absolutely be picking up the second book in the Chemical Garden trilogy. I'm glad you liked this one!! Five out of Five? WOw, it must be really good. I'm looking forward reading this one too, it just looks and sounds fab! Oh wow, I loved this book too. Your review is great. Meep! I must get this.. And fast!